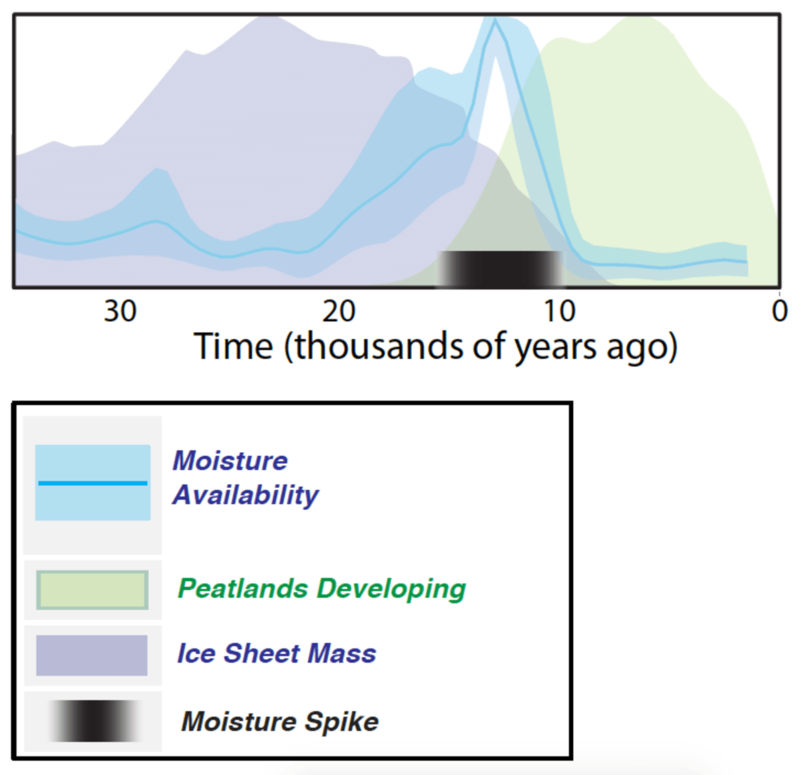 The study, published in Nature Ecology and Evolution today , shows that landscapes in many regions became suddenly wetter between 11,000 and 15,000 years ago, turning grasslands into peat bogs and forest, and ushering in the demise of many megafaunal species. It has been argued that this is because African megafauna evolved alongside humans , and were naturally wary of human hunters. However, this argument cannot explain the pronounced phase of extinctions in Europe. Neanderthals have existed there for at least 200,000 years, while anatomically modern humans arrive around 43,000 years ago.